(Sacramento, CA) – Vegetarian-centric dishes, Filipino flavors, chef-driven fast casual concepts top the list of the hottest menu trends of 2018 according to the National Restaurant Association. 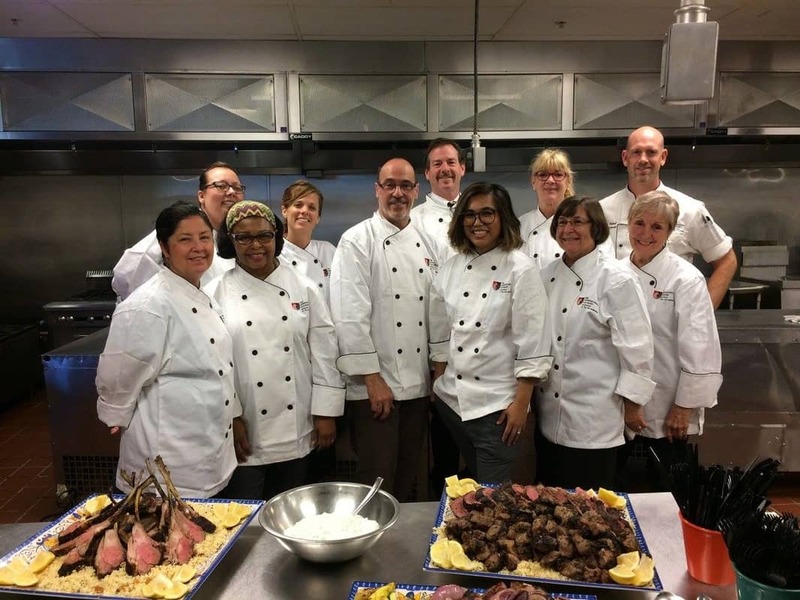 High school culinary arts teachers across California are attending specialized workshops and conferences to stay up to date on the latest industry trends and take it back to their classrooms. 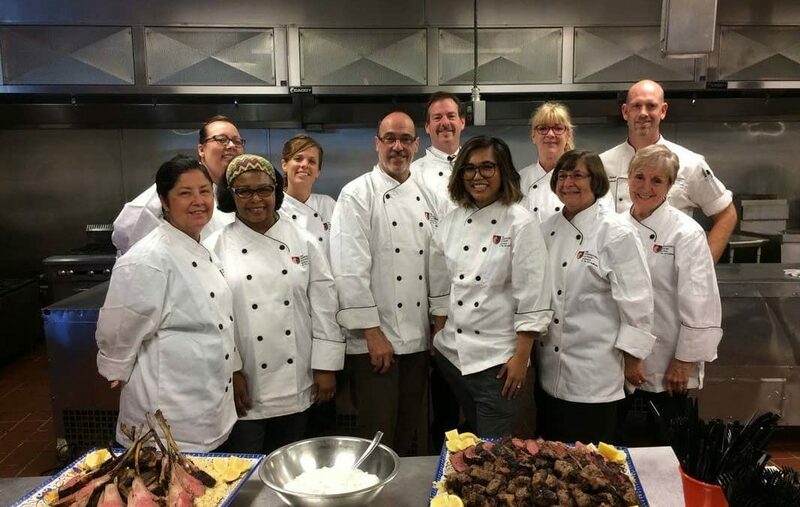 These teachers are part of ProStart®, a foodservice career exploration and training program supported by the non-profit California Restaurant Association Foundation (CRAF). Through a unique partnership, CRAF and The Art Institutes have teamed up on initiatives to “train the trainer”. Each fall, The Art Institutes host a series of one-day workshops throughout California for ProStart teachers. Topics change annually but have included: whole hog fabrication, caramel making, pickling/fermenting/jamming, Indonesian cuisine 101 and sousviding. “I have so many more tools and techniques to bring back to my culinary class,” stated Laurie Brandler, a ProStart teacher at Bonita High School. “A highlight for me was making paella. It’s definitely something my students haven’t tried before and I can’t wait to teach them how to make it”. In addition to the fall workshops, The Art Institutes also lead a “Trends + Techniques Expo” at the CA ProStart Cup, a statewide high school competition, each spring. This year, the demonstrations included pot stickers, cake decorating and molecular gastronomy and were carried out by Chef Jean-Marie from The Art Institute of California – Hollywood, Chef Kang from The Art Institute of California – Orange County and Chef Castro from The Art Institute of California – Inland Empire, assisted by students from their programs. Art Institutes instructors served as judges for the competition and presented scholarships to winners. “The expertise the Art Institute instructors bring to our ProStart teachers is invaluable. By investing in our teachers, they are creating a ripple effect that positively impacts thousands of students each year,” commented Alycia Harshfield, Executive Director of CRAF. With six campuses in California alone, The Art Institutes offer ProStart programs with regionally-tailored resources and trainings. The curriculum is based on classical European, Asian and Latin culinary techniques, emphasizing progressive trends and practices and introduces a variety of international cuisines. Students have the opportunity to learn in modern kitchens and receive practical, hands-on experience. About The Art Institutes: a system of accredited, private, nonprofit schools located throughout the United States providing an important source for culinary professionals through the culinary programs at 28 of its schools. They offer certificate through bachelor’s degree programs in the areas of culinary arts, culinary management, baking and pastry, and hospitality food and beverage management.